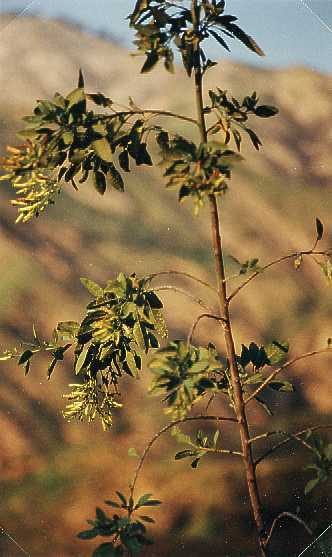 Notes: An introduced tree or shrub, it has white-coated leaves and trumpet-shaped yellow flowers. 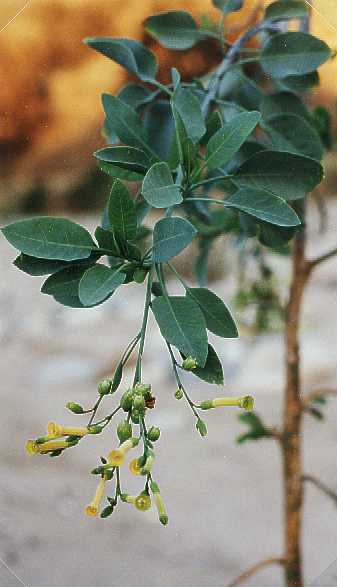 It has been smoked as tobacco, but not safely, as all parts of the plant are toxic. Grows to 20 feet.